(a) Set the No. 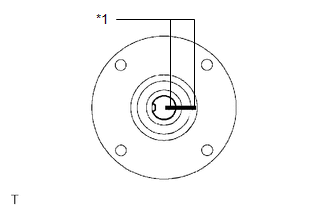 1 center support bearing on the intermediate shaft as shown in the illustration. Make sure to install the bearing in the correct position. 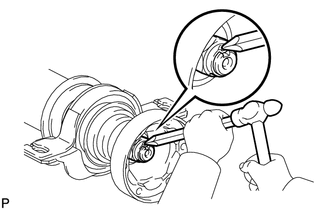 (b) Install a new washer to the intermediate shaft. 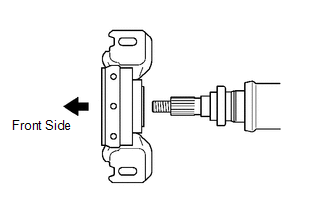 (c) Align the matchmarks on the universal joint flange and intermediate shaft and place the flange on the shaft. 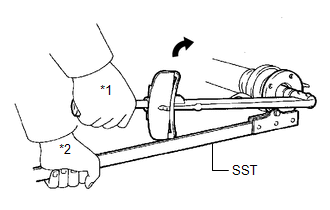 (d) Using SST to hold the universal joint flange, press the No. 1 center support bearing assembly into position by tightening a new nut and washer. (f) Tighten the nut again. (a) Set the No. 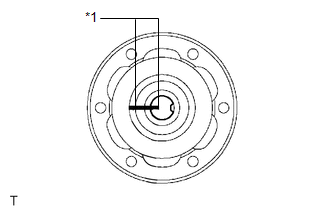 2 center support bearing on the intermediate shaft as shown in the illustration. 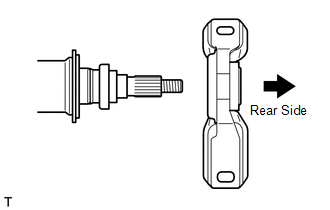 (c) Align the matchmarks on the universal joint flange and intermediate shaft, and place the flange on the shaft. 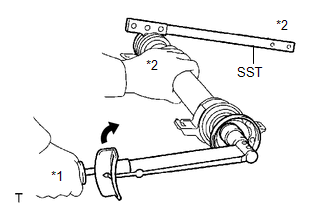 (d) Using SST to hold the universal joint flange, press the No. 2 center support bearing assembly into position by tightening a new nut and washer. 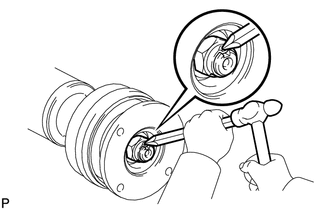 (a) Align the matchmarks on the intermediate shaft and rear propeller shaft, and then install 2 washers and 6 bolts. (b) Using a hexagon wrench (6 mm), tighten the 6 bolts with 2 washers temporarily. 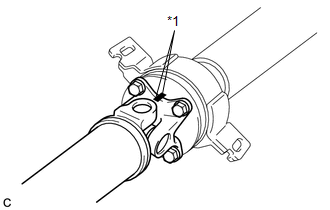 (a) Align the matchmarks on the propeller shaft and the universal joint flange. (b) Install the propeller shaft to the front flange with the 4 bolts, 4 washers and 4 nuts. Install the washers between the bolts and the propeller shaft. Do not allow grease to adhere to the bolts, washers, or nuts. 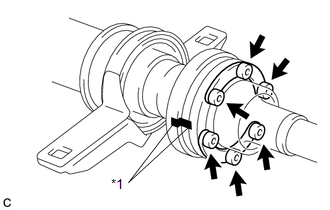 (c) Check that each joint of the propeller with center bearing shaft assembly is facing the direction shown in the illustration.